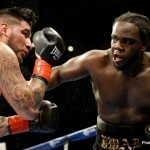 Bermane Stiverne proves he’s for real, and now everybody wants to fight him! 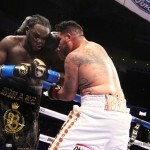 If Haitian-born heavyweight puncher Bermane Stiverne didn’t prove he was for real in his last fight, when he out-pointed Chris Arreola over 12-rounds, he sure proved it last night in stopping Arreola in the 6th-round. 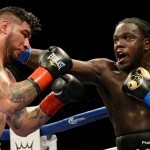 Stiverne, a powerful counter-puncher, was losing the fight last night, yet he sensationally made the score-cards null and void courtesy of his right hand. 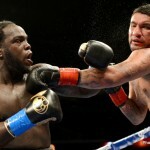 To complicate things when it comes to who Stiverne may or may not fight in his maiden defence, is the fact that Wladimir Klitschko, the holder of all the other heavyweight belts, had said pre-fight that he’d very much like to fight the Stiverne-Arreola winner in his next fight, in America. 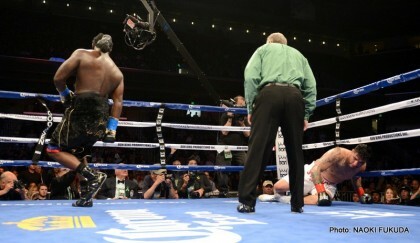 Klitschko wants all four belts, and he’d especially like to add the WBC crown to his collection as that was the title his big brother vacated. 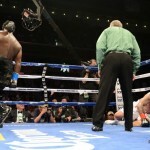 Wladimir has been ordered to defend his IBF title against the deserving and patient Kubrat pulev, but “Dr. 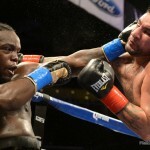 Steel Hammer” may well get permission from the organisation(s) to do what he wants to do. 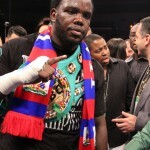 So we have no real idea when it comes to who Stiverne will fight next. 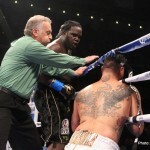 Post-fight, as emotional and pumped up as he was, “B Ware” had no interest in talking about his next fight, even though Wilder was a menacing and hovering presence at ringside (“an easy fight,” Wilder said of a potential showdown with Stiverne). 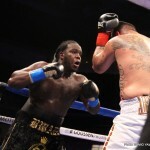 From a sheer fun-fight standpoint, fans would certainly enjoy a Stiverne-Wilder collision, but in terms of having just one heavyweight champion of the world, a unification showdown between Klitschko and Stiverne would have huge appeal. 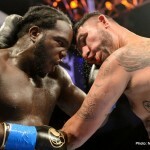 Either way, courtesy of Stiverne’s career best ring performance, the heavyweight division just got a whole lot more interesting. 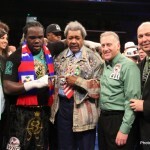 And already, everyone from Wilder to Klitschko, and, get this, Audley Harrison!, has expressed interest in challenging the new ruler. 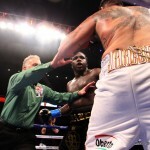 As for the gutsy and determined Arreola, he came up short last night but has vowed to “keep trucking” and not quit. 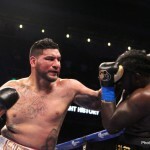 Promising he will “cause commotion” in the heavyweight division with future fights, Arreola can still figure in some big fights down the road. 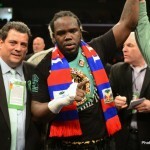 You are here: Home / Boxing News / Bermane Stiverne proves he’s for real, and now everybody wants to fight him!